Homes for the Disembodied – Palestine. Mary Tuma is a Palestinian – American artist and art professor. 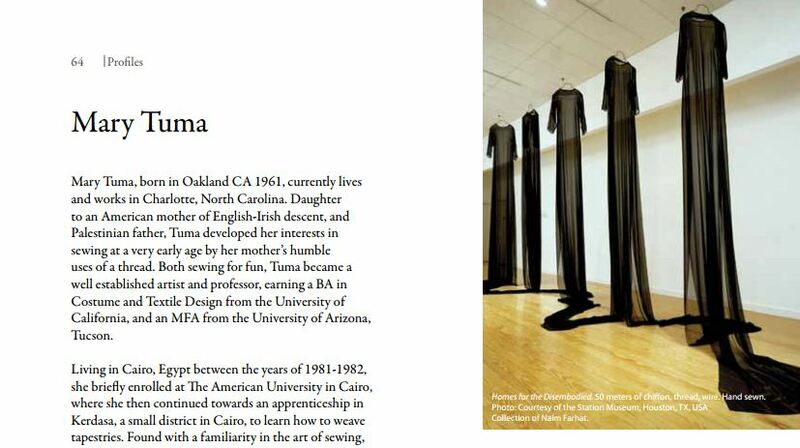 Born in California in 1961, Tuma began sewing and crocheting with her mother at an early age. Her love of these processes led her to begin her formal study of art as an apprentice at Beautiful Arts Hall in Kerdassa, Egypt, where she learned to weave tapestries. One of her artworks, Palestine, is particularly mesmirizing. 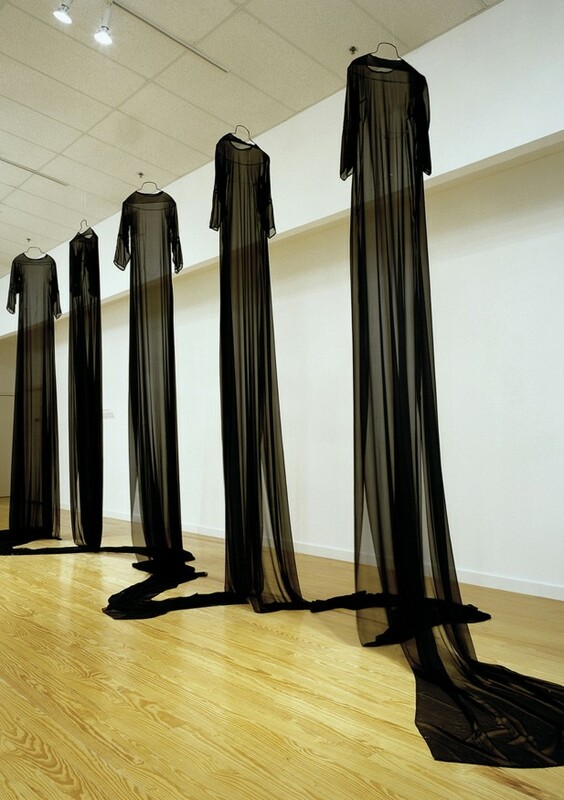 Tuma’s dresses make notice of the absence of the human form, and by doing so, provide a metaphor for the status of a people who are known more for the shadow they cast on current events than for their own personalities and culture. For more on Mary Tuma and her work, visit her official website and see her profile on Contemporary Practices. → Egypt: Mother and Son. ← Bye Bye Babylon (Beirut 1975-1979).